CONCEPT: Synthetic food made from enzyme-enhanced bioplastics. This conceptual project by Royal College of Art graduate Johanna Schmeer builds on developments in nanotechnology to create synthetic foods for feeding the world’s burgeoning population. 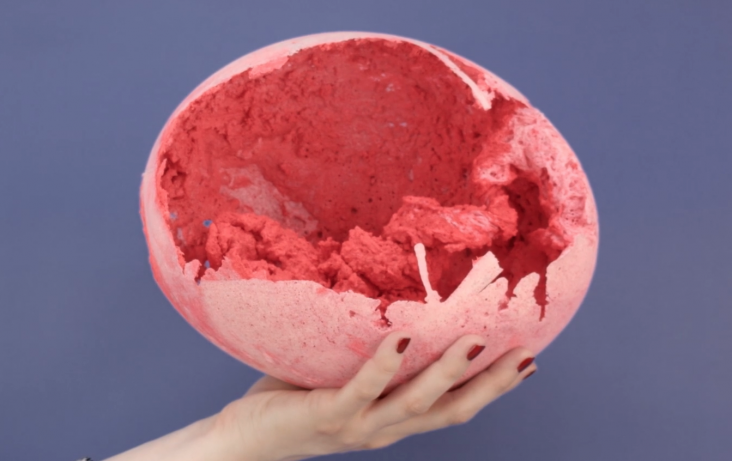 For her Bioplastic Fantastic project, Johanna Schmeer has imagined how products made from enzyme-enhanced bioplastics could produce essential nutrients as a substitute for traditional food resources that could soon run out, as stated on an article by Dan Howarth on Dezeen.com. Her proposals follow a recent breakthrough by scientist Russell Johnson, who managed to synthesise functioning biological cells made from plastics. Schmeer designed seven products that create the essential food groups needed for humans to survive through synthetic processes powered by artificial photosynthesis. The items produce water, vitamins, fibre, sugar, fat, protein and minerals in the forms of liquids and powders. The products include a series of green tubes that secrete sugar syrup and a machine that collects moisture from the air into white pouches, which can be drank from when squeezed. “The project focusses less on communicating the exact functionality of these products, and more on the interactions, aesthetics, atmosphere, and the feeling involved in interacting with them,” said the designer. Bioplastic Fantastic – Consuming Nutritious Non-Food.